Near the center of Sofia! 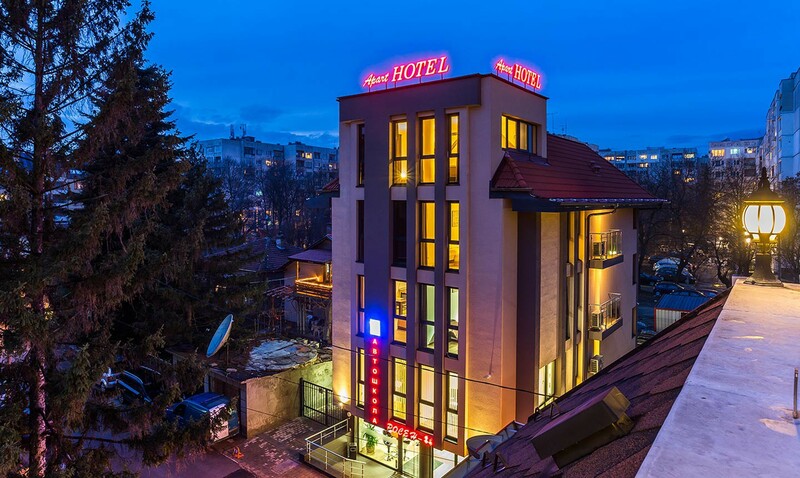 Apart Hotel "Rosen" is located in Sofia city in close proximity to the central part of the city. 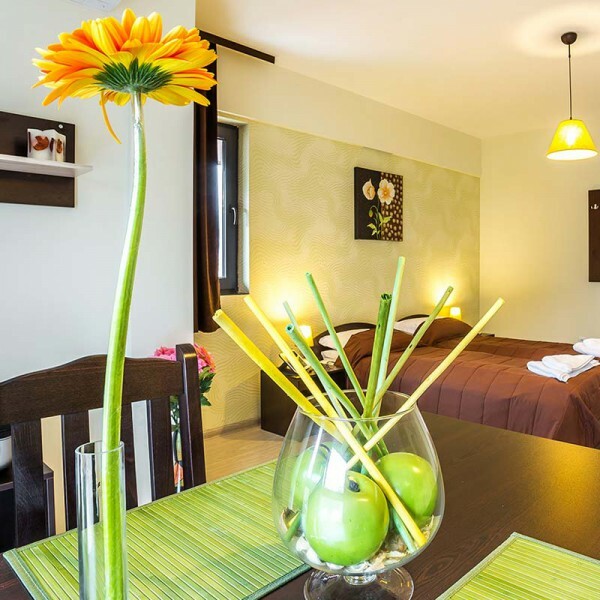 Apart Hotel "Rosen” by its modern building offers luxury, comfort, calmness and all facilities of the home comfort. 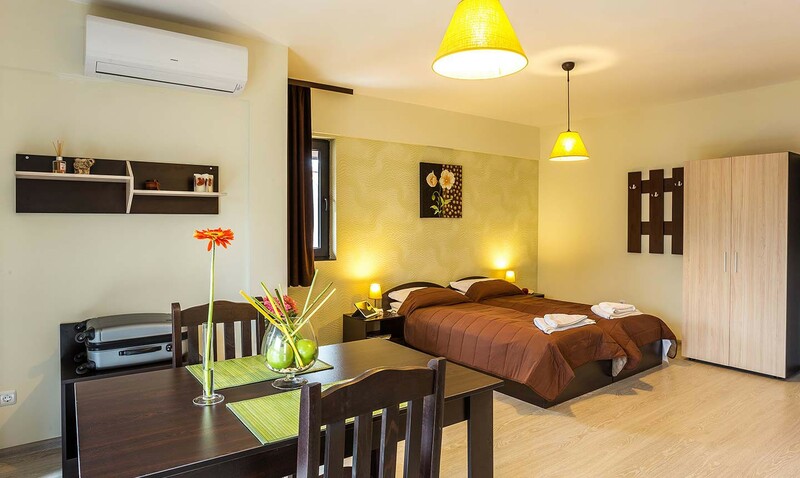 It disposes with 8 studios furnished in individual and different color nuance, each with individual and completely equipped kitchenette. 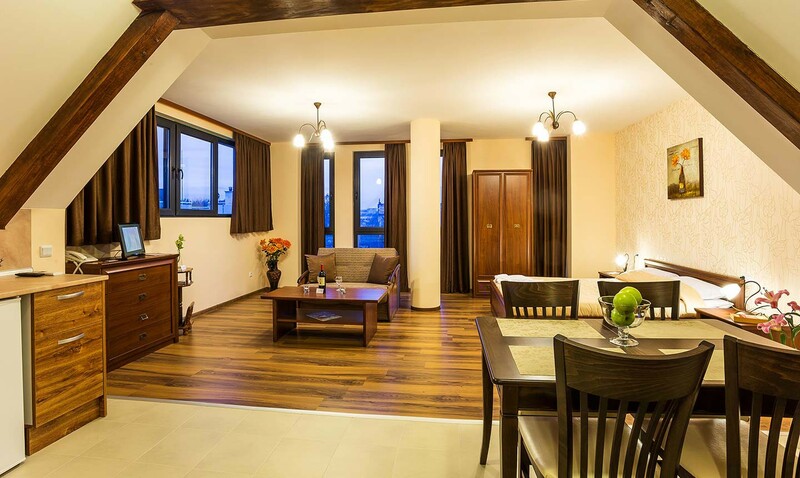 The studios in Apart Hotel “Rosen” are single, double or triple as in all of them is available telephone, cable television, refrigerator, air-conditioner, free internet, own bathroom and sanitary unit. The feeling for comfort and sympathy is visible just after you enter into the reception desk area. ELITE Studios create feelings of warmth and coziness contributing to your home-like experience. 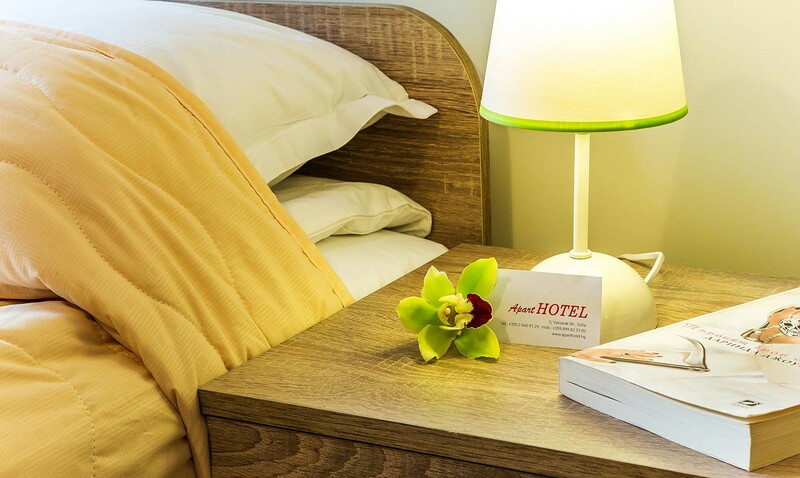 Each COMFORT Suite is in itself cozy, spacious and creates the feeling of home comfort. 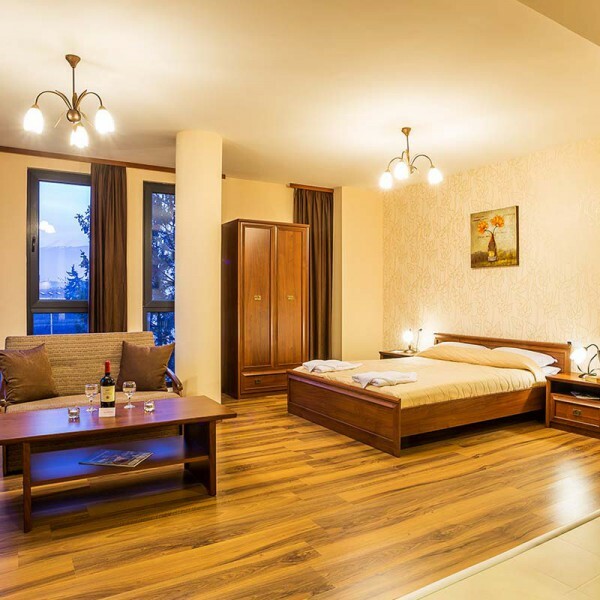 DELUXE Studios are the most spacious and luxury premises, with unique view of Vitosha Mountain, all of which has earned the studio its VIP branding.